I love to paint! My original portraits of animals and celebration cakes have brought happiness and joy to those who have commissioned them. They also make perfect birthday and holiday presents. 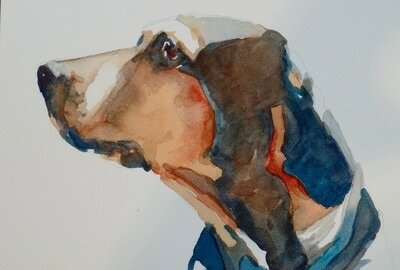 All of my portraits are done in watercolor. 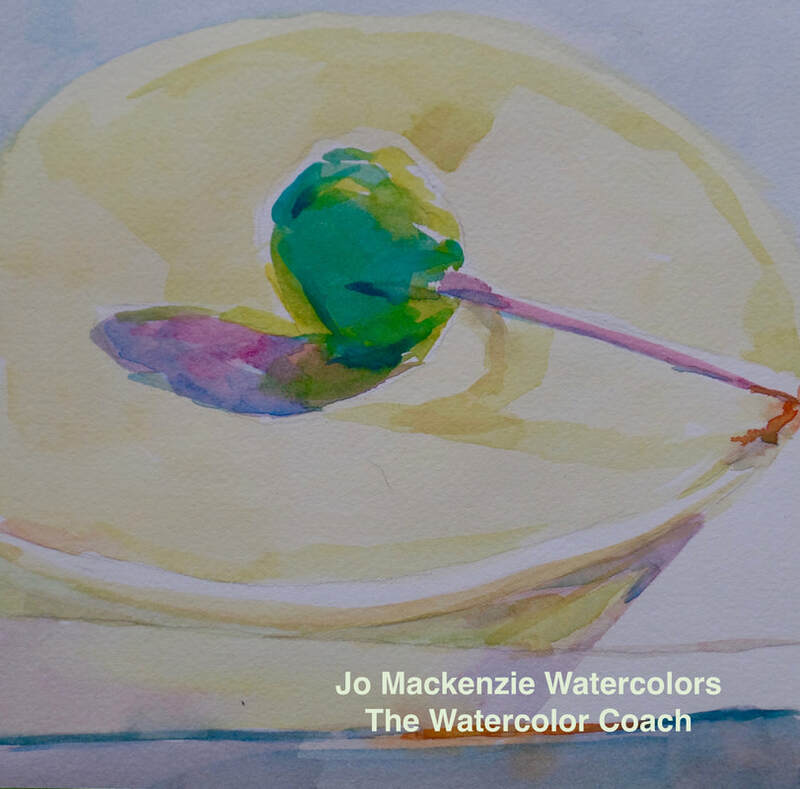 I use top quality materials for conservation and professional grade paints and paper. Each ( small ) painting is matted and comes with a backing board, placed in a glassine envelope and tied with a fabric bow. 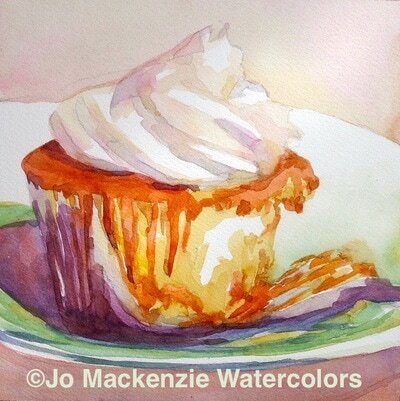 The completed sizes (for small paintings matted ) are 12 x 12 inches square or 11x14 inches, depending on the composition. If you're interested in commissioning a portrait for yourself, a friend or family member contact me and send a photograph to jowatercolor@gmail.com. The current turn around time is one week. The price for a single portrait is $150.00. Shipping and handling are not included in the purchase price of your painting. I ship via USPS Priority Mail within the United States. I charge domestic shipping and handling for all of my paintings. I will contact you with the fee. All paintings are packed by me and will be insured and a tracking number will be provided. 22x30 inches ....This is the largest size I paint at this time . Since this would be a longer term project we can discuss the pricing options.